Everyone gets overwhelmed, but Oh Susannah teaches children that it is okay to ask for help. Susannah wants to shove all of her problems into her school bag, but no matter how hard she tries to ignore them, those problems just will not go away. In Oh Susannah: It’s in the Bag, Carole P. Roman presents a simple story with an important lesson about staying ahead of tasks so they do not become overwhelming. Susannah is having a difficult day. She did not do her math homework, her parents are stressed and very busy, and school keeps piling on more tasks that she must attend to. It’s a lot for a third-grade girl to handle. Each new challenge is stuffed into her school bag, until the bag actually bursts; even then, Susannah still tries to find ways to hide her problems. 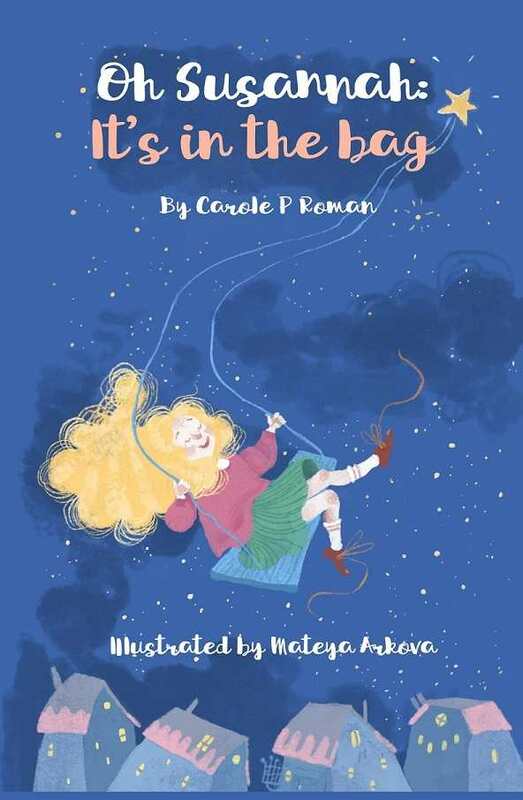 Roman has a clear writing style, resulting in a book that is easy to follow and that contains an important lesson, both for young children and for parents who might be reading with them. The story moves forward at a comfortable pace, at a length most appropriate for children ages six to nine. Susannah is a relatable character. Everyone wants to hide from their problems once in a while, and Susannah’s responses to hers are natural and understandable. Through her story, it becomes clear that it is important to talk to grown-ups and caregivers when things get to be too much. The story is a reminder that that tackling one task at a time can help to make even the most daunting list more manageable. Simple black-and-white illustrations at the beginning of each chapter, done by Mateya Arkova, are visually interesting; they pull nicely from the details in the story. Everyone gets overwhelmed, but Oh Susannah teaches children that it is okay to ask for help. It is an enjoyable book, with an ending that leaves hope that Susannah will have more adventures to share and lessons to learn.